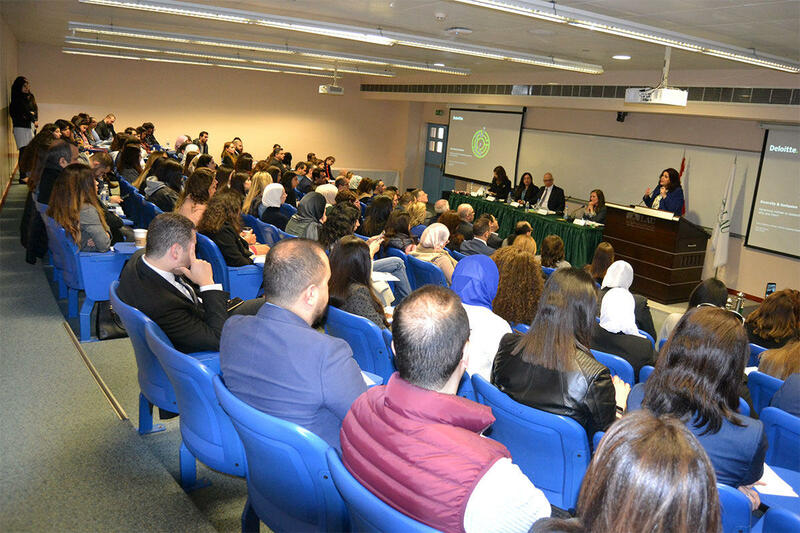 LAU’s Institute for Human Resources at the Adnan Kassar School of Business hosts a forum on effective strategies for engaging talent. Dr. Shahin stressed the importance of turning the new HR concept into reality. 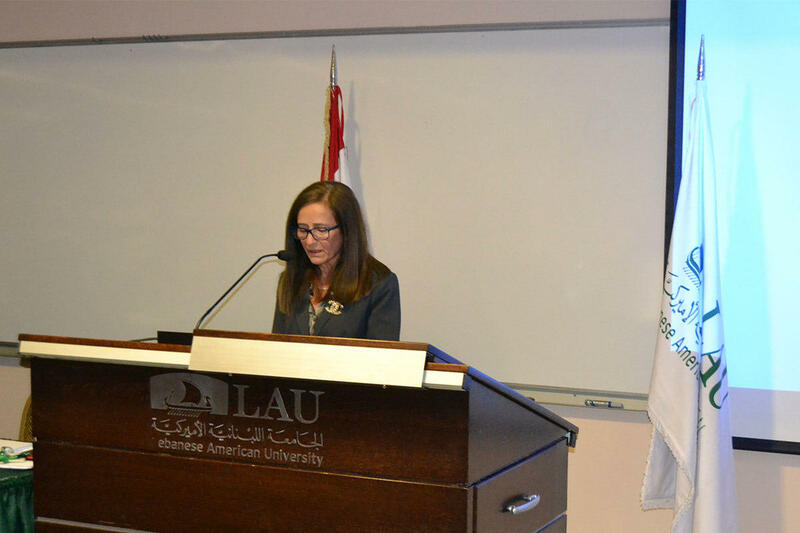 Dr. Karkoulian touched on the major transformations in performance management since its introduction some 60 years ago. 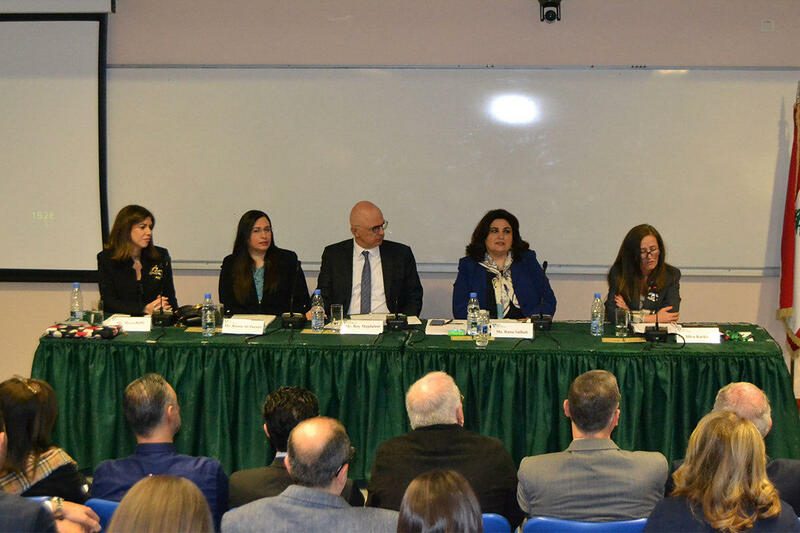 The panelists from left: Maya Rafii, Rania Al-Jazairi, VP Majdalani, Rana Ghandour Salhab, and Dr. Karkoulian. The subject of the seminar was pertinent to a large crowd of attendees. Performance management has been undergoing a significant change in prominent organizations, with leaders becoming more aware of the challenge to engage talent more effectively. This is particularly the case for several international institutions that were able to redesign their performance management systems and adapt them to more focused and individualized performance management. 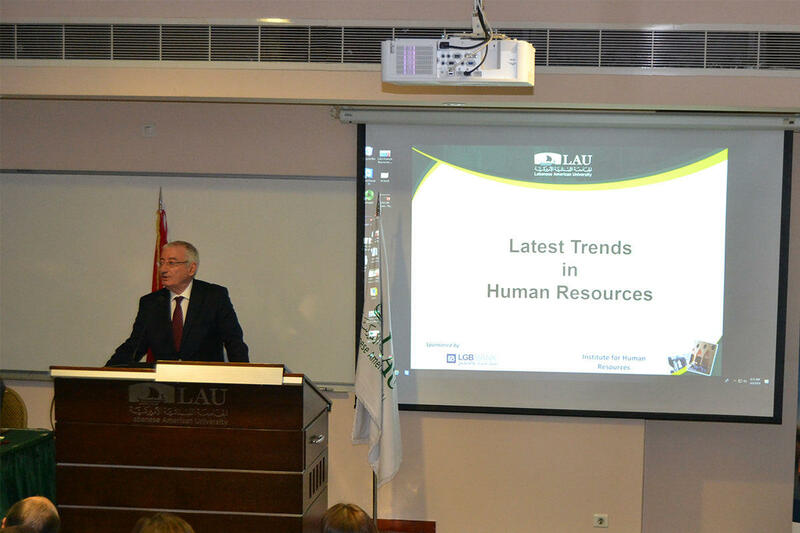 Such strategies adopted to best evaluate team performance – and more –were addressed at a forum hosted by LAU’s Institute for Human Resources on the Latest Trends in HR: Reinventing Performance Management on April 4. Moderated by Dr. Silva Karkoulian, associate professor and director of the institute, the forum featured Deloitte’s Rana Ghandour Salhab and Maya Rafii – Partner, Regional Talent and Communications, and Regional HR Director at Deloitte, respectively – as well as Roy Majdalani, VP for human resources and university services at LAU and Rania Al-Jazairi, first social affairs officer at ESCWA. Kicking off the event, Dr. Karkoulian recalled the concept of performance management that was introduced some 60 years ago to determine an employee’s wage. LAU’s Interim Dean of the Adnan Kassar School of Business (AKSOB) Wassim Shahin stressed the importance of turning this new HR concept into reality, illustrating how AKSOB had done so both on the academic and executive training sides. Over the course of the event, the panelists reminded the audience that through inclusion, trust and coaching, all three institutions were reinventing the perception of performance management. Back at LAU, said Majdalani, a new unit – Staff Relations and Development – was founded within the HR department, empowering “employees by giving them constructive feedback and helping them manage their performance.” In this manner, employees define their own goals while managers engage with the team by spreading the institution’s vision and mission or communicating on an individual basis. The ESCWA, on the other hand, placed an action plan that allocated huge resources to work on upgrading their employees’ skills, as “the staff sometimes feel like they’re being replaced by new upcomers on short-term contractual basis,” said Al Jazairi.